While I described the possibility of performing a Benzais cop to hold back cards and prepare for hand mucking, I also mentioned that the snap deal is much more convincing, it is also better for switching cards among other things. Thus, the concept here is again one that involves preparing for hand mucking. 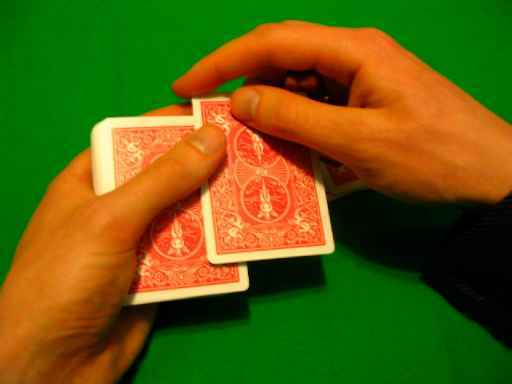 Essentially, you begin with a marked deck of some sort and when you reach a marked card (say an ace), you double deal, using the snap deal to deal the bottom card to the table, while retaining the ace. You then transfer this card into tenkai palm ala the Benzais cop. 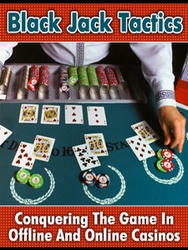 In this manner you are able to build quite a pat poker hand in the course of a round or two of dealing. Naturally, the dealing action serves as misdirection to what you're doing and leaves you in an admirable condition at the end. Now, this is not practical for high stakes money games, but it offers interesting uses in gambling demonstrations or perhaps some particularly soft games. Personally, I use the method for other magic demonstrations as well where it seems at least functional.